Looking for non-dilutive funding through the SBIR/STTR program? Want expert personalized assistance? The SBIR/STTR Assistance Program is a comprehensive program to increase participation by Washington state life science ventures. Its objective is to make writing and submitting an SBIR grant proposal easy and effective. We are pleased to have assistance provided by experts from BBCetc and Dr. Robert Finney, who have extensive experience teaching the art of writing and winning SBIR/STTR grants. 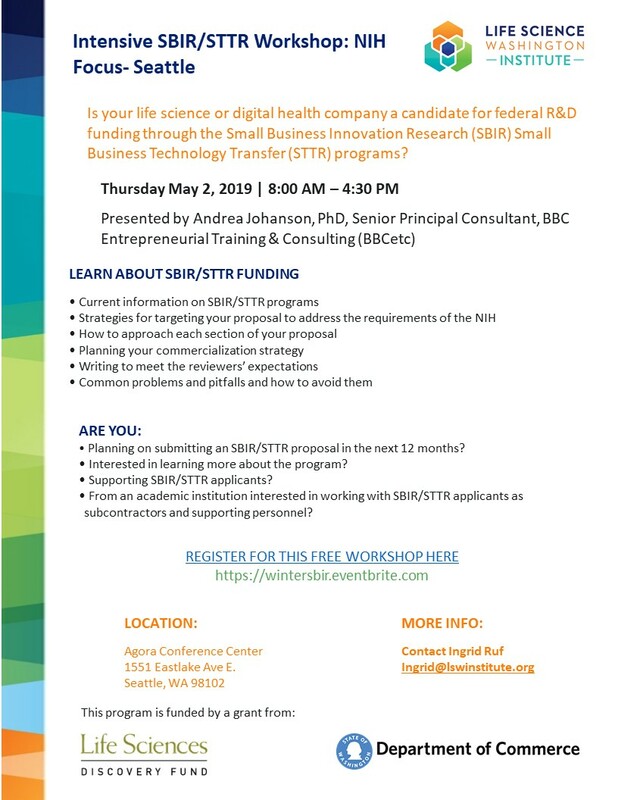 Join us for our next SBIR Workshop in Seattle on May 2, 2019! From an academic institution interested in working with SBIR/STTR applicants as subcontractors and supporting personnel? Attend Workshops & take advantage of opportunities to connect with program officers from different agencies. 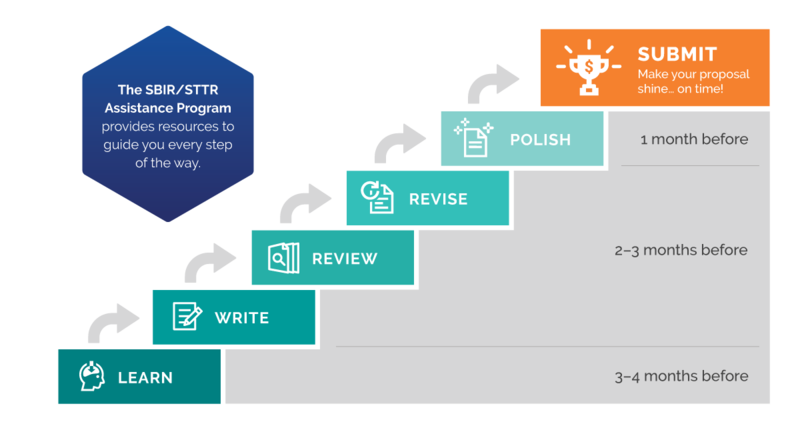 Flatten the learning curve with access to step-by-step guide materials. Sign up for 1:1 expert strategy sessions and peer review opportunities. Make your proposal shine… On Time! Please contact Dr. Ingrid Ruf at ingrid@lswinstitute.org.